Hey now, I know. I’m the one who’s been living my wild and crazy life! I’m baaaak! Not that I was gone, as in “somewhere else,” but I’ve been up to my ears. In good stuff! So, what’s new? I’m closing in on the Gracie Sweater that I designed for Tom last year. Mmm, I know. But, a lot has clabungerd up the works here! New babies new projects new music. 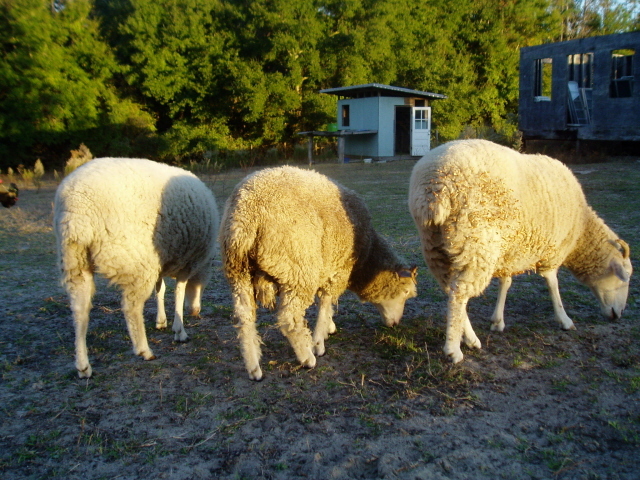 Sam the Ram, 27 Cornish chicks, a new black mystery chicken, a couple dozen Buff Orpington chicks…yeah…think about it. Irish fiddling collaboratives, more dances, O’Leno Old Time Dance started back up, and we’re getting ready to play an antebellum ball next week! On top of all that, NaNoWriMo gave me a 50,008 word first draft of a mystery! Anyway…Tom’s sweater will be photoed, hopefully on his adorableness, in a couple of days. 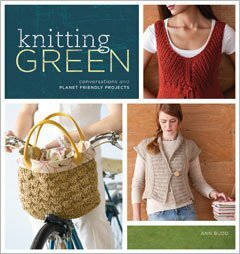 For those of you on Ravelry, I’ve just started a new Group…”knitting GREEN” for discussion and the occasional knit-along inspired by Ann Budd’s great little book…knitting GREEN: conversations and PLANET FRIENDLY PROJECTS (emphasis hers).